As part of National Volunteer Week Susan Wilson from Anglicare takes a look at the often forgotten volunteer work of foster carers and the social and economic contribution they make. When you think of a volunteer, it’s easy to picture an old lady in an op shop or school kids helping out in a soup kitchen. They donate a few hours of their time, often on a regular basis, taking home nothing but the feeling of satisfaction and pride that comes with hard work and generosity. Every year volunteers like these contribute over 713 million hours of their collective time to more than 700,000 organisations across the country, according to the ABS. In 2010, the Productivity Commission valued their contribution at more than $14.6 billion annually. Certainly, organisations like Anglicare Victoria couldn’t function without them. But also included in these numbers are people like Janine who never ‘goes home’. Janine cares for children who are not her own when their parents can no longer look after them. She’s a foster carer and, even though the minimal compensation received by carers means they’re not always considered volunteers, the money rarely covers costs. 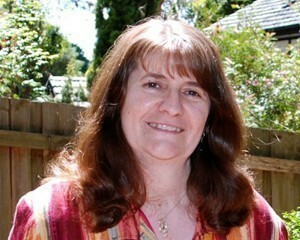 Foster carer Janine Slinger. Photo: supplied. Plus, of course, anyone with children knows being a parent to your own child is one of the toughest things you’ll ever do, let alone parenting someone else’s child who, by definition, has experienced trauma of some kind. But Janine knows it’s worth it. “It’s a reason to get out of bed in the morning”, she says. But volunteers like Janine are desperately lacking. There’s a chronic shortage of foster carers across the nation, reflecting a trend across Western countries generally. Anglicare Victoria is the largest provider of foster carer support services in the state, but even so the organisation needs somewhere between 60 and 80 additional carer households to meet demand. With only 212 currently active carers, it’s a significant shortfall. Janine is well aware of the problem. And yes, she agrees it’s an enormous commitment. “It’s 24 hours a day, seven days a week, 365 days a year,” she says. But she says it’s worth it. “There’s nothing that feels more important than bringing up a child who needs you at that time, often more than your own children. There’s certainly no questioning how much the rest of us get out of it. In cases where a foster carer can not be found, the last resort is a contingency place. The financial cost of these places is extreme, estimated at up to $550,000, per placement, per year by the Centre for Excellence in Child and Family Welfare in 2009. But the emotional cost on the child is the greater concern. Contingency places involve temporary, professional carers and temporary accommodation, often simply a motel room. Like so many other aspects of these children’s lives, they are unstable. Foster carers are not. Over the 21 years she’s been a foster carer, Janine and her husband have provided a stable, loving home to over 50 children. Two of those children were taken into permanent care and many of them lived with the couple for years at a time. “You become their family, you become their parents,” Janine explains. Foster carers receive training on subjects that most parents have little experience in, such as helping a child to heal from trauma. “Even after they leave, you feel like you’ve given them something that’s always going to be with them,” Janine explains. It’s in this context that foster carers must be seen. They are volunteers, to be recognised like any other in Volunteer Week. But they are also life changers, who provide hope, love and a stable life to a child who may never have experienced such basics before. Foster carers deserve our gratitude.